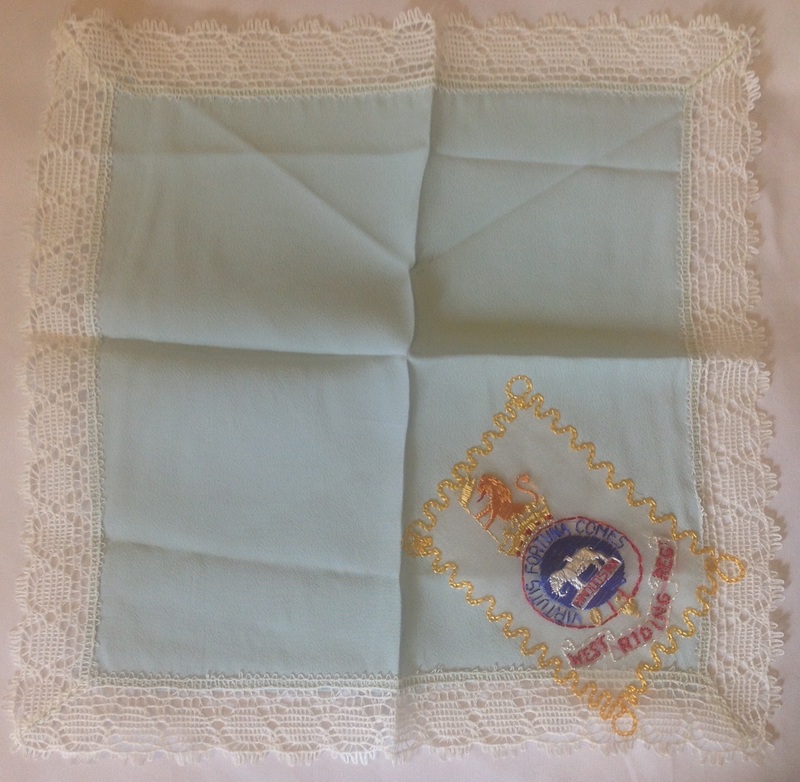 The handkerchief is made of a baby blue rayon-type fabric with lace around the outside, folding it open it can be seen that the crest sits in one corner: The crest itself is machine embroidered onto a separate piece of silk that has then been sewn onto the handkerchief with a fancy gold stitch: This suggests the handkerchief is a commercial product rather than a home made handicraft, indeed this is borne out by the very high quality of the embroidery which would be beyond all but the most skilled amateur. It is most likely that the handkerchiefs were produced in bulk and then had different embroidered insignia applied to sell to different troops dependent on their regiments. These would then make attractive and feminine tokens to be given to female relations or sweethearts. 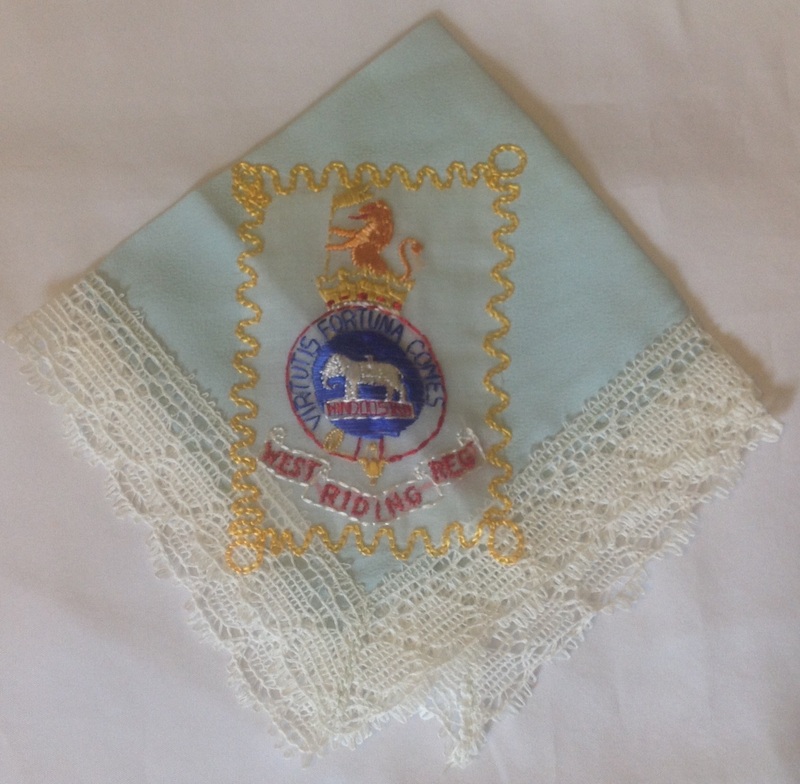 The Duke of Wellington’s Regiment was local to the Halifax and Huddersfield area so this handkerchief has not travelled far, as with so much in my collection I imagine this came from a local house clearance when its original owner had sadly died. 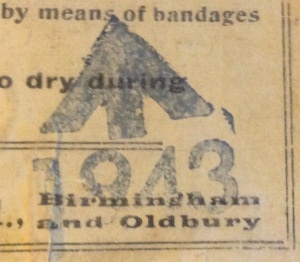 This entry was posted in British Army, Home Front, Souvenir, WW2 on August 31, 2015 by hatchfive. 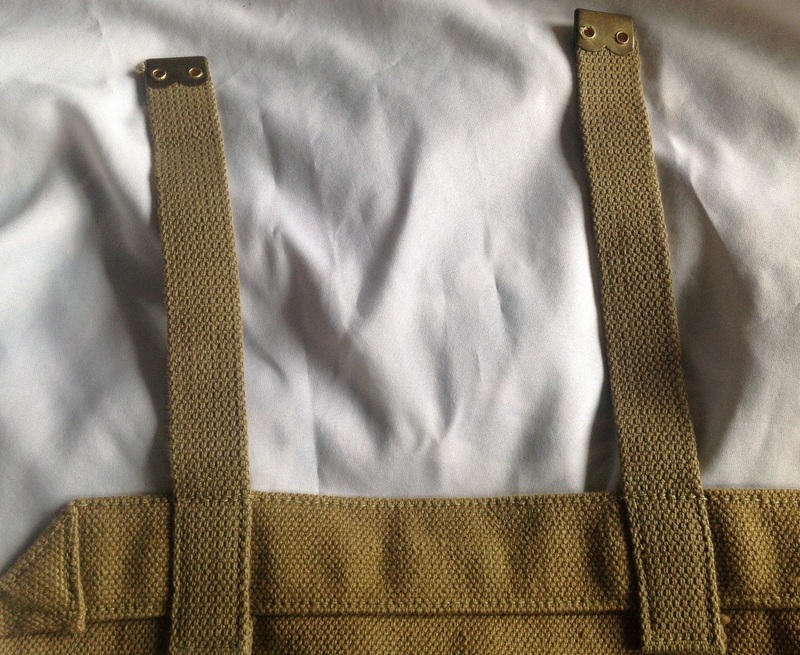 A few weeks back we looked at a pair of ersatz utility straps (here), since then I have managed to pick up a single shoulder brace in the same ersatz canvas material. 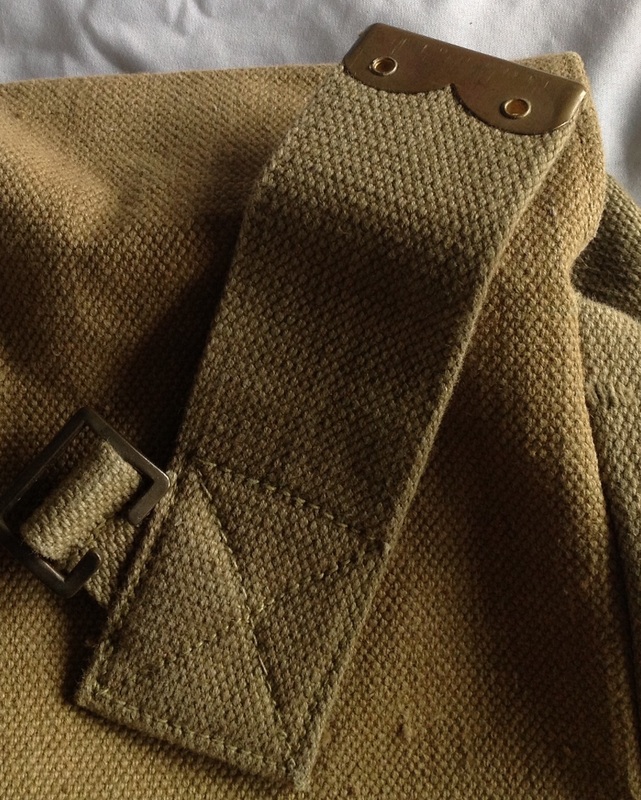 In form this strap copies the more common webbing examples: The brace is made of a twilled weave and is formed of three parts; the central wider section and the two thinner ends are all separate pieces of material sewn together. 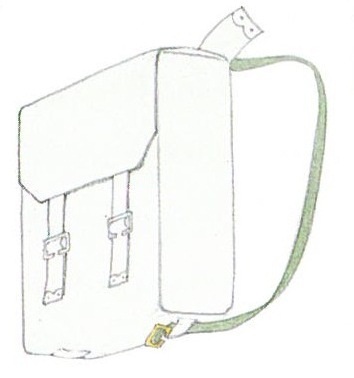 As before there is a rubber core to the strap to give strength without sacrificing flexibility. 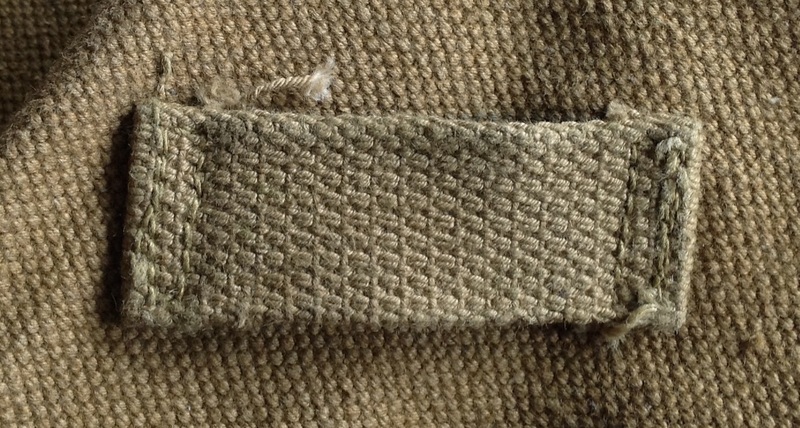 The ends of the brace have brass tips for strength: Interestingly the loop on this brace is not made of the same canvas as the rest of the strap, but rather standard woven webbing: Why the strap has this composite construction is unclear, but it has been seen on other examples so is a common variant. 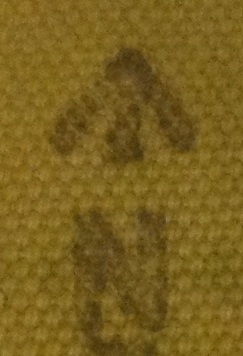 The shoulder brace is marked C.P.Ltd with a /|\ mark and a date of 1942: C.P. 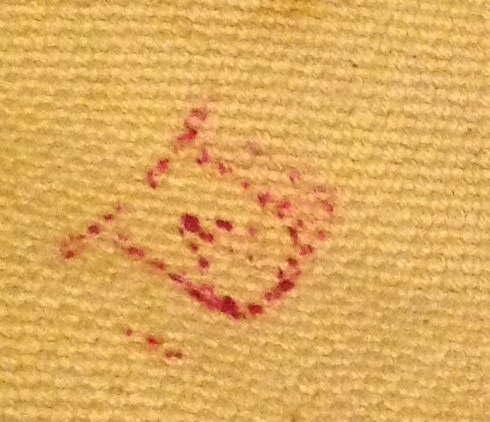 was the mark for Caoutchouc Products Ltd. This company seems to have made both standard webbing items and these ersatz forms. Sadly I have just a single shoulder brace, so I am keeping my eyes open for a second example without a loop to complete the pair. 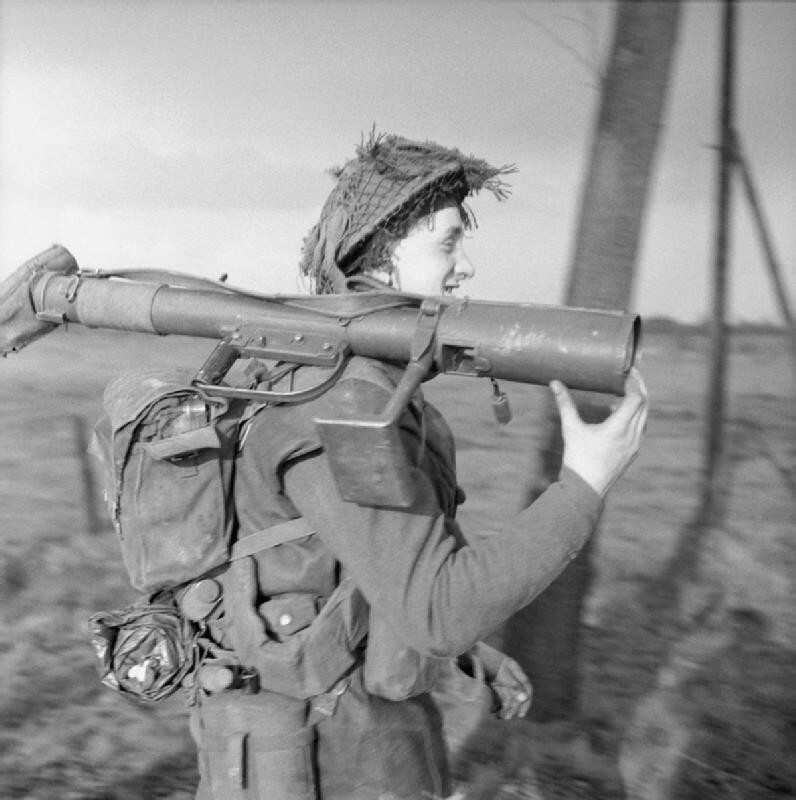 This entry was posted in 37-webbing, British Army, Latest Pick Ups, Webbing, WW2 on August 29, 2015 by hatchfive. 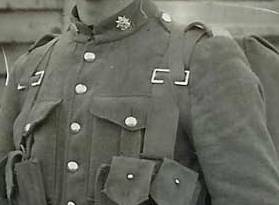 Following on from the officer’s 49 pattern battledress blouse we looked at here, a friend of mine has kindly sent pictures of his King’s Yorkshire Light Infantry Officer’s BD blouse. 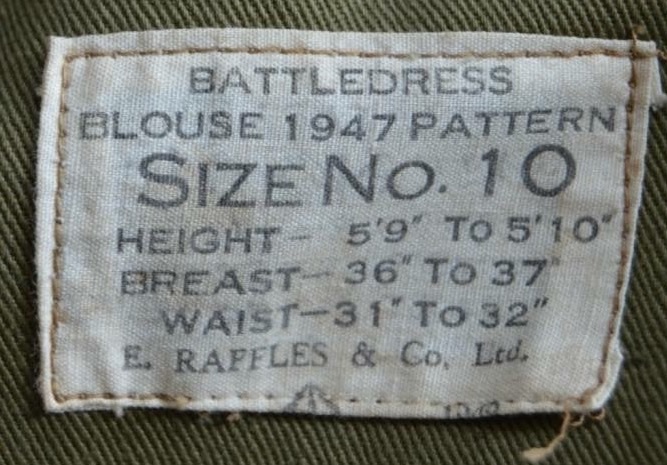 This differs from my example in being a 1947 pattern blouse rather than the much more common 49 pattern (pictures courtesy of the Andrew Dearlove collection): The 1947 pattern of battledress is quite rare now (and sadly unloved by most collectors); it is a half way house between the wartime 1940 pattern and the National Service Era 49 pattern. 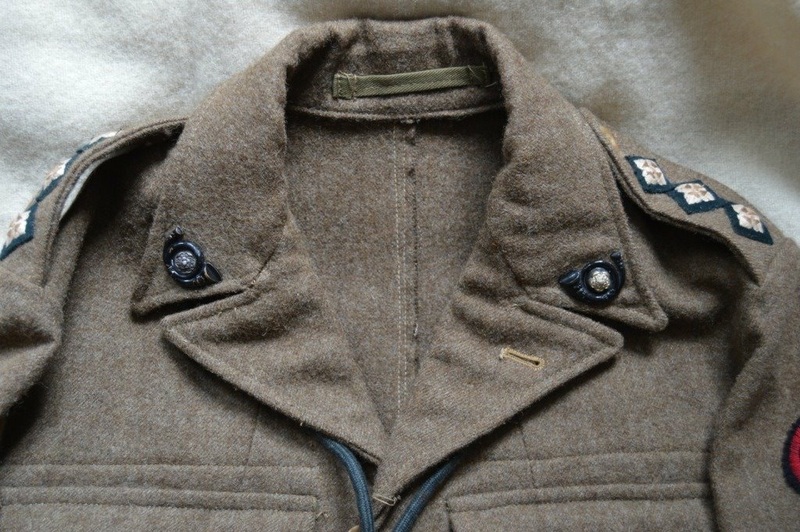 The collar can be pressed open to allow it to be worn with a shirt and tie, however it retains the ability to be secured at the neck with a hook and eye in the manner of the old 1940 battledress. 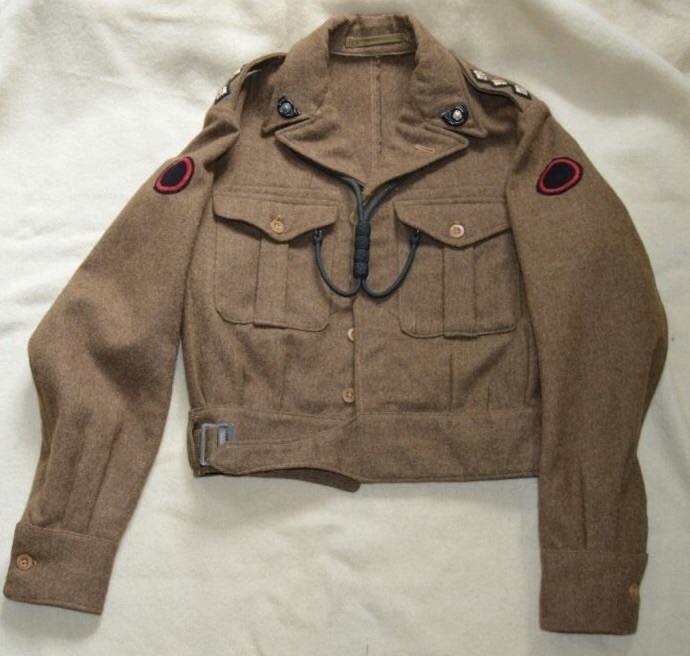 This change was a result of officialdom giving in to the unofficial practice of tailoring wartime battledress to allow it to be worn with a tie, rather than a multitude of unregulated changes to army uniform an authorised pattern was introduced. This pattern of blouse also reintroduced the pleats to the pockets on the front that had been deleted as a wartime economy, and a fly covered the buttons up the front, but not those on the pocket flaps. 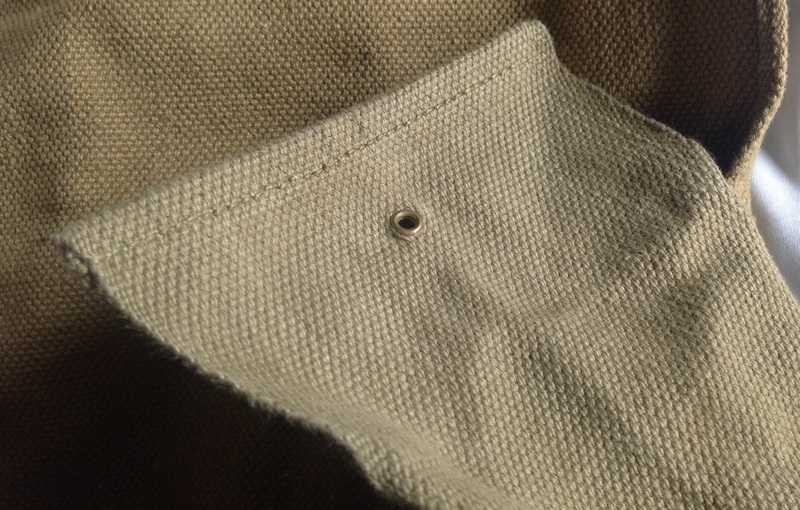 The sleeve was also cut in a slightly fuller style than previous patterns. This battledress has a number of post war embellishments typical of officers’ uniforms, with large divisional patches on both shoulders, regimental rank pips, collar dogs on both lapels and a double lanyard in rifle green worn around the neck under the collar: Sadly this uniform is missing its shoulder titles, but would originally have had these on each shoulder as well. 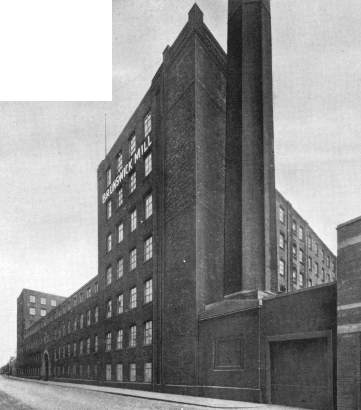 The label on the inside of the blouse shows it is a 1947 pattern blouse, a size 10 and was made by E Raffles & Co Ltd: E Raffles was set up by Emanuel Raffles in Manchester and by the mid twentieth century had a factory in part of the huge Brunswick Mills complex in Ancoats employing over a thousand people: The company was sold out of the family in the 1970s and closed in the 1980s. 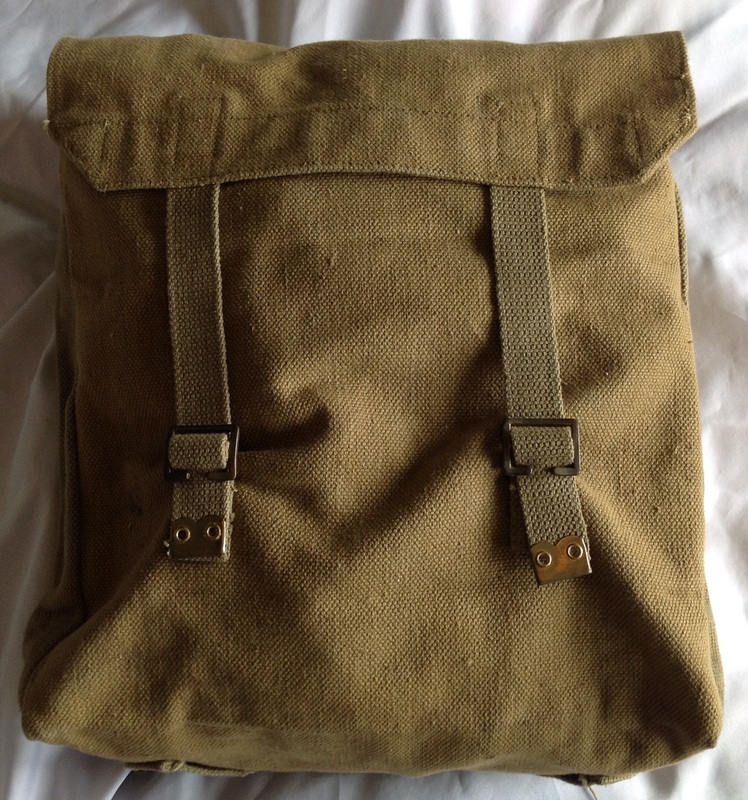 This entry was posted in British Army, Post WW2, Uniform on August 28, 2015 by hatchfive. 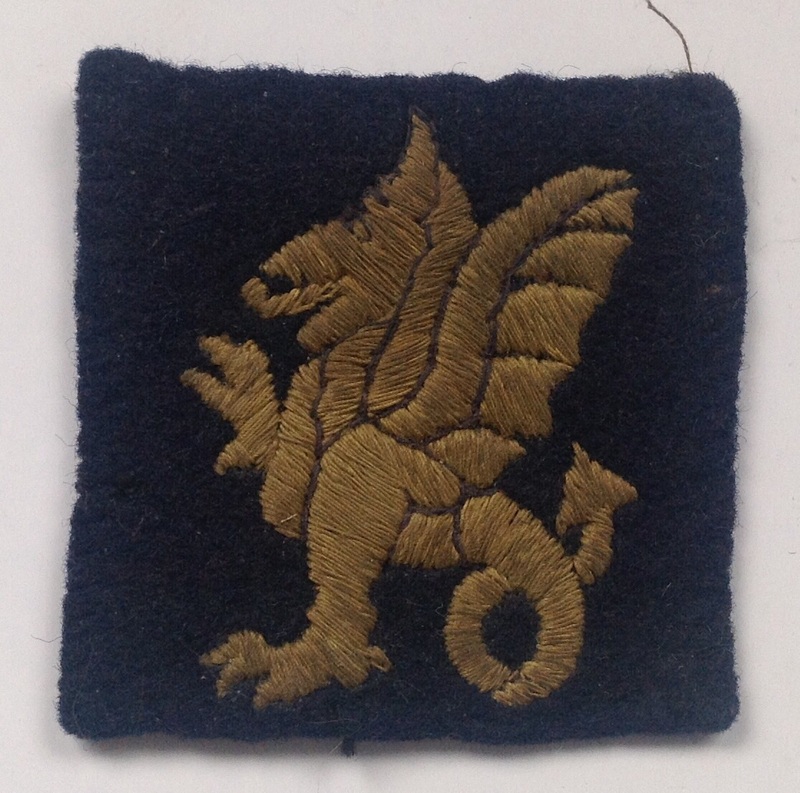 Tonight we have another family heirloom, my grandfather’s 43rd Division patch: As can be seen the 43rd Division adopted a yellow wyvern on a blue background as its formation sign, based on the ancient coat of arms of the Kingdom of Wessex. 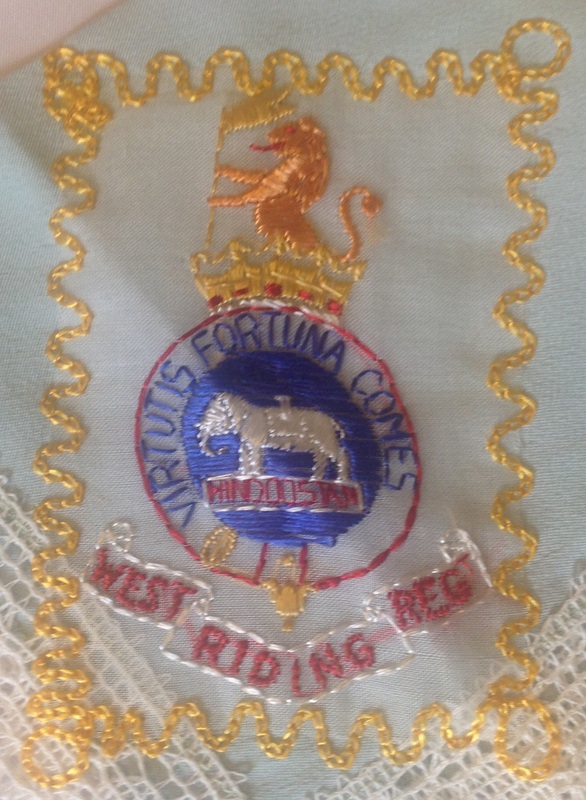 Both printed and embroidered examples of this badge were in use, but I inherited an embroidered version so clearly that was what my grandfather was given. My grandfather, Harold Paradise, joined the Division as part of the Somerset Light Infantry in the dying days of the Second World War and fought with them through into Germany. 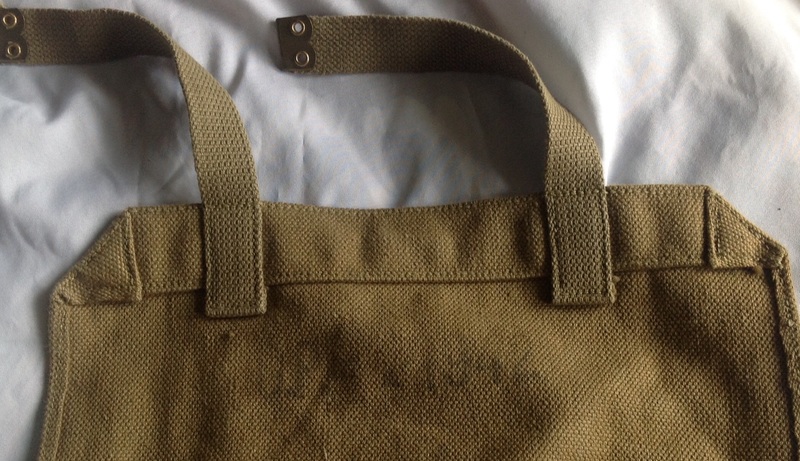 This entry was posted in British Army, Insignia, WW2 on August 27, 2015 by hatchfive. So, yet another evening to fill my spare time. I was a busy lad! Jogging through the darkened streets, strenuous exercises, lots of sparring (with bigger and faster boxers), kept us working hard. So it was Tuesday, Thursday drill and weapon training, Wednesdays and weekends band practise, then boxing whenever. I did enjoy it, though, and a big bonus was when we went to other cadet units, or service camps in military vehicles and had good food at the various cookhouses, food that we could not get at home because of the rationing. The National ACF Boxing Championships were to be held sometimes and we trained hard to enter the various county heats, so that we could be at the finals. 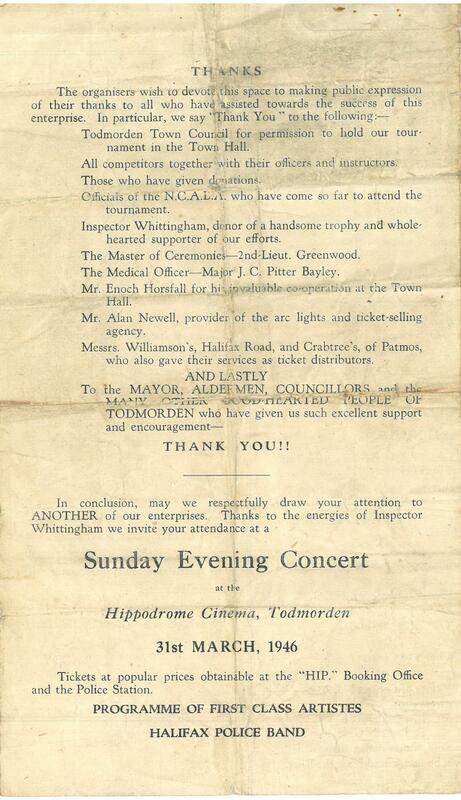 Some of us were successful in reaching the finals, to be held later at the Royal Albert Hall. I was placed in the middleweight class. In, I think, 1945, there was a big cadet weekend in London, with a parade of units, including many bands and the salute to be taken by HRH The Princess Margaret. Our band did not take part, but we marched in the parade. 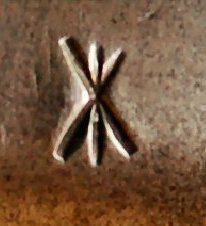 By this time, I was a Warrant Officer and the split pin holding my brass badge scratched my right arm and I still have the scar today. In the heat for the finals, a full programme of boxing was staged at the Drill Hall, with a paying audience and I was dressed in boxing gear. Passing a group of Yorkshire cadets, they called out “Hey, you won’t feel a thing when he hits you” and they laughed. He was a big lad and during the first two rounds he smacked me often and both rounds were judged even. My father was in the audience, so I did not want to lose, so in the third round, and after a big “rocket” from my PE instructor, I went in hard and knocked him out, much to my relief. Royal Albert Hall, here we come!!! Yippee!!! – But no! 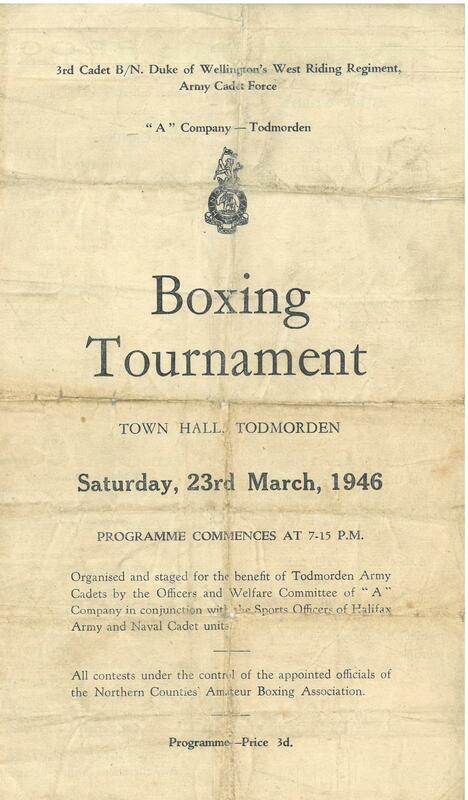 Although I had qualified for the finals by beating the Yorkshire cadet, we received a letter stating that on the actual date of the championships, I would be one month over the age limit, so was eliminated. Yes, I cried with disappointment. The irony is, that the cadet I knocked out in the semi final, won the championship!! Of course I congratulated him, although with mixed feelings. 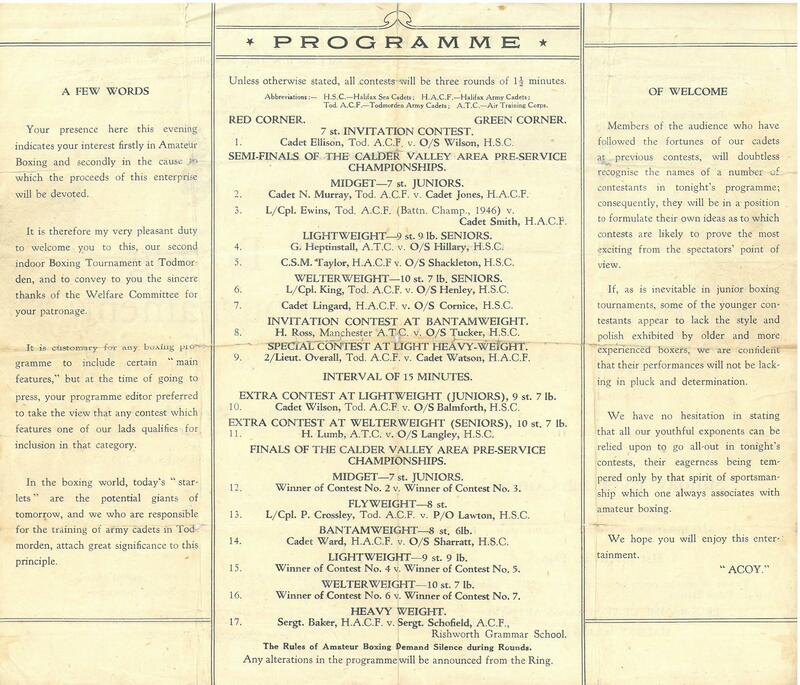 Sales of the programme (3d) and entrance fees to the event would have helped support the cadet unit in its day to day running, as central funding was always very limited. Even today cadet forces are charities and rely heavily on volunteers, donations and fundraising events. 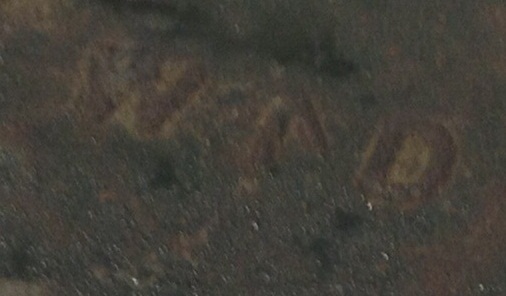 This entry was posted in British Army, Documents, Latest Pick Ups, Post WW2 on August 25, 2015 by hatchfive.